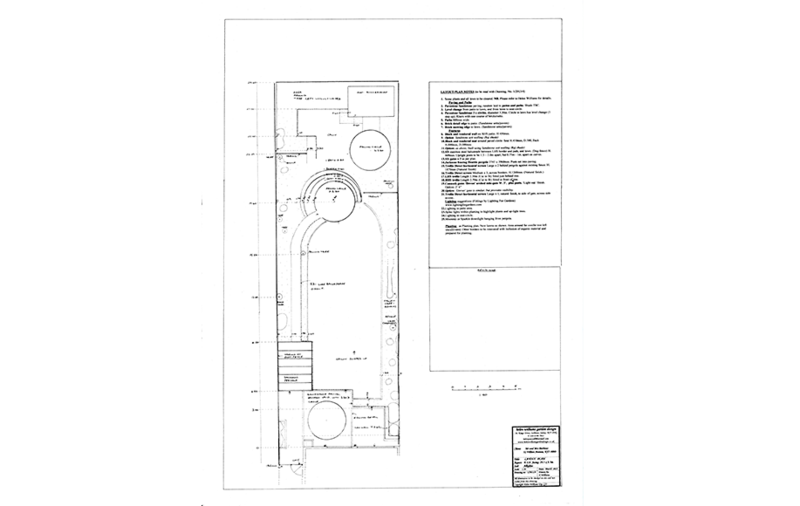 The brief included retention of some interesting mature trees and shrubs, within a design that accommodates outdoor living and entertaining. There is a generous patio area leading to a pergola which forms an ‘outdoor room’, with contemporary furniture and large grass-filled planters. 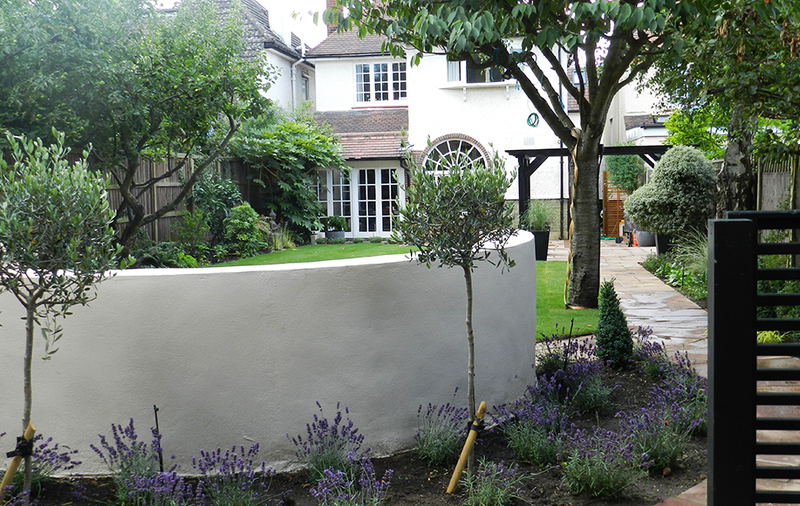 The path leads to a built-in curved seat around circular paving: ideal for relaxing with a fire pit and comfortable cushions. 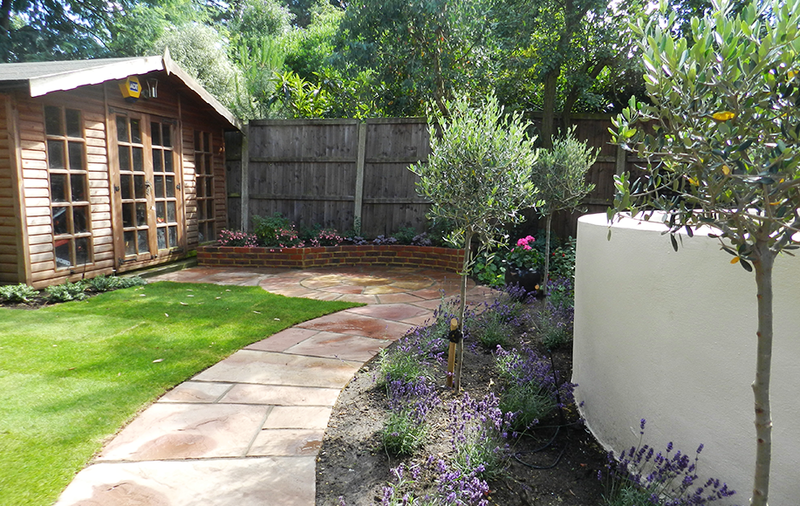 The previously unloved area near the log cabin has become a favourite ‘secret’ garden, with planting of olive trees and lavenders. 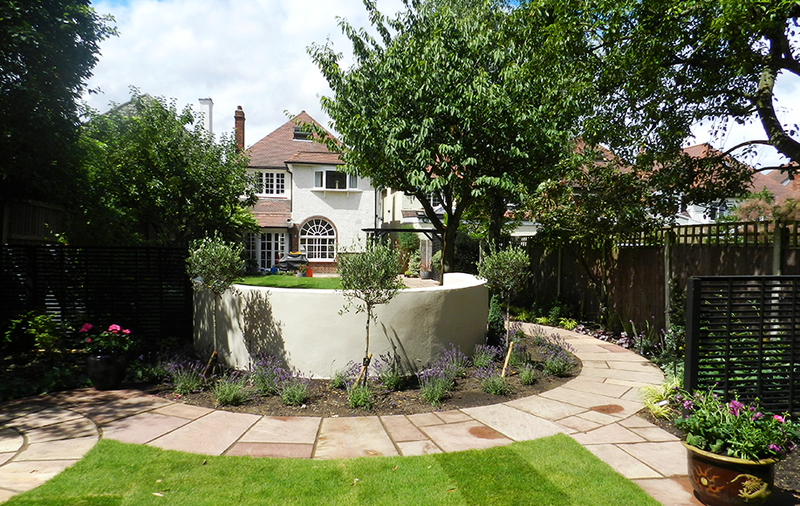 The ‘circle’ theme continues with a sandstone paving circle feature and curved raised bed.